Note: This feature is only available for Business and Extended users. Easynote makes it simple to sort tasks by urgency, status and responsibility. That way you can organise your tasks the way you want to and get things done quicker. 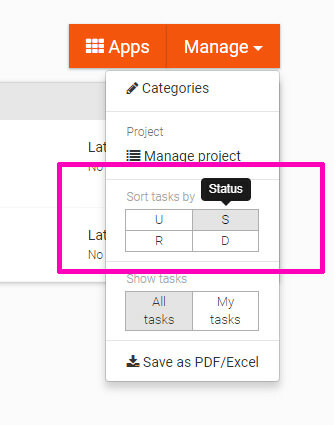 Simply click on the Manage button in your overview and then select how you would like to sort your tasks according to. And that is how you sort tasks in Easynote in a simple way.